@bolid74, thanks again for this top quality pack! Is it possibile to remade Enfield Town default 3rd kit and add it to the pack? it's possible for national team 3D's kits plz ? Enfield 3rd kit is now added, plus away kit with collar corrected. Updated pack is now on Mediafire. Wow, so fast! Thanks my friend. @bolid74, maybe you forgot to add Leiston away kit to the pack. I just noticed that the kit is missing in the rar file. In addition, Dulwich Hamlet played with a green third kit in a match against Corinthian Casuals last month. Template is the same as the away kit one. Perhaps you (or anyone) knows what is that IKF logo on Dulwich shirts? 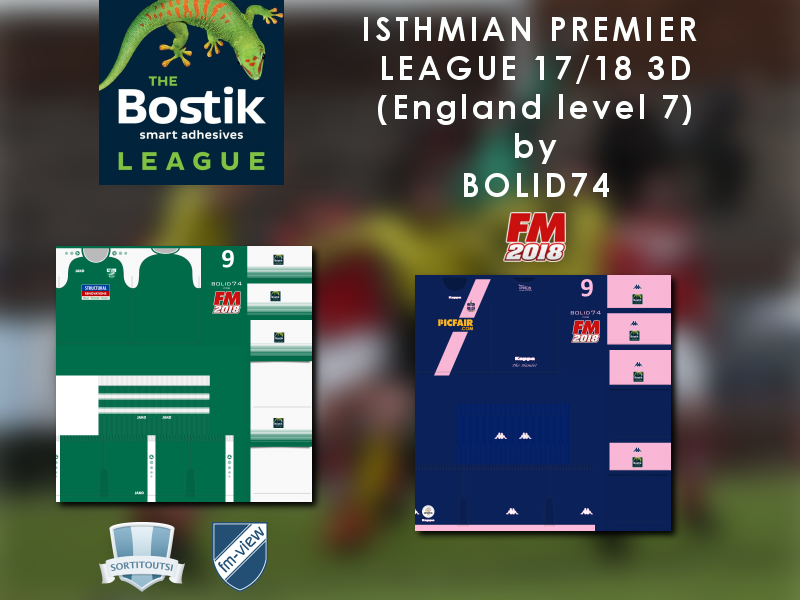 Isthmian league 3D pack is now updated with new Dulwich 3rd kit and Leiston away kit. Top work bolid! Really thanks! Glad you found the sponsor logo.